I have been waiting for an iPad App from C4J. Thanks for making this experience as great as the original version, even though it operates in different ways. I like the auto-save feature especially! And the "ghost imagine" is helpful with the limited space to spread out pieces. I found that I had to use different approaches to solving puzzles in the differing formats; good mental exercise for the "mature" solver! Since I have Premium membership in the original C4J format, I found having to purchase Packs off-putting at first but realized that is the only practical way to operate an app for mobile devices. Thanks again for the best puzzle experience on the Net!! 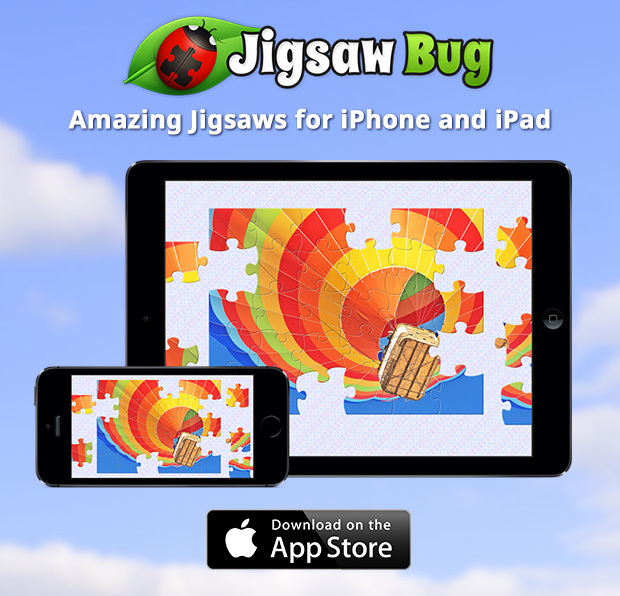 i downloaded this one on my iPad after asking you for a puzzle site. I love this site. Thanks so much.